Oasis Coils & Coatings (OCC), one of the largest HVAC (heating, ventilation and air-conditioning) coil and heat pipe manufacturing companies in the UAE, said it has signed a distribution agreement with Ostberg, a Swedish manufacturer of energy-efficient ventilation products. Under the terms of the agreement, OCC will employ its sales, marketing and commercial expertise to distribute Ostberg’s Heat Recovery Wheels in the UAE, Saudi Arabia and Qatar. 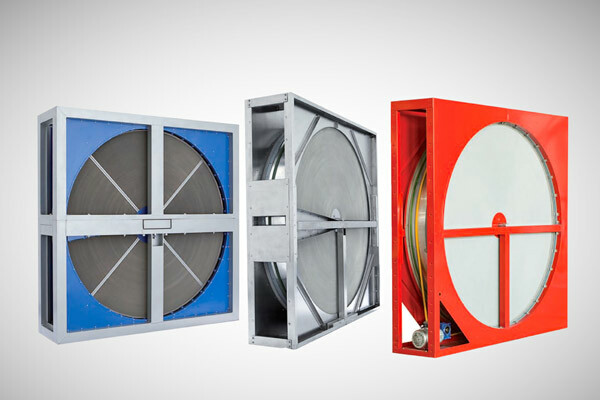 Established in 1971, Ostberg is credited as one of the inventors of the circular duct fans. The Swedish firm has four manufacturing facilities across the globe, including one in India, which will produce the units for the GCC market. As per the deal, OCC will supply Ostberg’s rotary heat exchanger, which comes in five different well heights various media, 40 standard sizes, competitive pricing and short delivery time. The AHRI and Eurovent-certified wheels can be customised as well in any diameter for better optimisation and greater client satisfaction. On the deal, Ostberg CEO Peter Jakobsson said: "We are happy to venture into this agreement with OCC as it has the infrastructure, reputation and a complementary product portfolio to enable Ostberg to earn its rightful place as a market leader." "Besides, our companies shared commitment to innovation and manufacturing excellence made for the perfect match," he stated. Roshan Roy, the global sales manager, OCC, said: "The GCC market is becoming more and more focused on energy efficiency and indoor air quality. We are convinced the quality, robustness and energy-efficiency of Ostberg product range will boost the performance of a wide range of HVAC applications." In the UAE since 2005, OCC, a member of the Al Shirawi Group of Companies, is one of the largest HVAC coil manufacturing and coating companies in the Gulf region. It is also the exclusive distributor of heat pipe technology (HPT) and FreshAire UV germicidal lamps in the UAE, Qatar, Oman, Bahrain and Kuwait.